The Best Drug Addiction blogs selected from thousands of Drug blogs and Addiction blogs in our index using search and social metrics. Data will be refreshed once a week. Also check out Top Drug Addiction Podcasts. Drug Addiction newsletter is a comprehensive summary of the day's most important blog posts and news articles from the best Drug Addiction websites on the web, and delivered to your email inbox each morning. To subscribe, simply provide us with your email address. Worldwide About Blog SMART Recovery is the leading self-empowering addiction recovery support group helping people recover from addiction to harmful substances and behaviors. Facebook fans 14,623. Twitter followers 15,215. San Juan Island WA About Blog The Clearing is an innovative residential treatment Program focused on addressing the underlying core issues which fuel substance abuse, depression, anxiety, and other challenges to our mental health. Follow this blog and get articles on addiction recovery, how to stay clean, breaking addictions, and self-healing through spiritual practices. Facebook fans 74,314. Twitter followers 2,166. Delray Beach, FL About Blog Addiction Blog is a review of current trends in behavioral and chemical addictions and about the discoveries in the treatment of addiction. Their mission is to connect families and individuals struggling with addiction to necessary and appropriate treatment options. Facebook fans 3,967. Twitter followers 4,640. World Wide Web About Blog Recovery Connection specializes in the treatment of addiction by providing quality care to those suffering from drug and alcohol abuse. Facebook fans 5,487. Twitter followers 1,779. Washington, DC About Blog StoptheDrugWar.org (DRCNet) calls for an end to drug prohibition and its replacement with some sensible framework in which drugs can be regulated and controlled instead. Facebook fans 74,168. Twitter followers 28,730. About Blog The Recovery Blog on Sober Nation provides drug, alcohol addiction resources, news, facts, personal stories and more. Sober Nation is a national resource center and online community for people seeking recovery from drug and alcohol addiction. Facebook fans 267,187. Twitter followers 14,722. United States About Blog Compare & Discover the right-fit drug addiction treatment centers near you. Addiction Aide helps you to find different rehab centers filtered based on insurance, reviews, quality of service & accessibility. Facebook fans 19. Twitter followers 38. Chicago, Illinois About Blog Addiction Treatment Forum reports on substance abuse news of interest to opioid treatment programs and patients in medication-assisted treatment. Facebook fans 1,048. Twitter followers 552. Los Angeles, California About Blog Narconon provides drug rehabilitation, drug education and drug prevention programs that have helped millions improve their lives. Follow this blog to get information on drug education and prevention. Facebook fans 20,637. Twitter followers 9,422. About Blog Granite Recovery Centers offers primary treatment and extended care sober living for men and women recovering from substance use disorders. Facebook fans 14,497. Twitter followers n/a. San Diego About Blog The Lasting Recovery blog keeps you up-to-date on what's going on in the treatment of drug, alcohol addiction and rehab. Facebook fans 5,315. Twitter followers 45. United States About Blog Uncover the world of behavioral and drug addiction at the Rehabs.com blog. We cover drug rehabilitation news and feature unique and engaging editorial. We have been helping people connect with addiction treatment programs, achieve sobriety, and sustain recovery for over 20 years. Follow this blog and get drug rehabilitation news and articles. Facebook fans 61,880. Twitter followers 4,533. Wisconsin About Blog This blog discusses news and current topics about drug addiction. Its goal is to help you understand the problems and issues related to drug addiction and recovery. The key to dealing with drug addiction is the right information. If you've ever wondered how drug addition impacts your life this site is for you. Facebook fans n/a. Twitter followers 164. Arvada, CO About Blog The Raleigh House is a safe and nurturing Denver drug rehabilitation center offering holistic addiction treatment programs. Facebook fans 2,361. Twitter followers 41. Manistee, Michigan About Blog Best Drug Rehabilitation offers a unique approach to addiction treatment that encompasses all aspects of the physical, emotional, and spiritual issues involved in addiction. Follow this blog to learn more about our drug rehab and addiction recovery services. Facebook fans 30,321. Twitter followers 438. Hutchinson Island - Florida About Blog Follow our blog to learn more about the various types of addiction and the tips and advice our trained staff provide to help overcome substance abuse. Beachside is a beautiful luxury rehab with amazing accommodations on the beach to recover from drugs, and or alcohol addiction. Facebook fans 1,716. Twitter followers 58. New England About Blog The Privileged Addict is a forum about addiction, recovery, spiritual growth. Facebook fans 813. Twitter followers n/a. Washington About Blog How To Stop Smoking Weed Forever. The most complete resource for ending your marijuana addiction and avoiding withdrawal. Bringing you the latest information, research, tips and tricks for quitting weed. Facebook fans 146. Twitter followers 108. Minnesota About Blog A blog about the science of addiction and drug research. Facebook fans n/a. Twitter followers 2,359. Alpine, Utah About Blog The Alpine Recovery Lodge blog provides the latest news and information about various treatments and recovery from alcohol and drug abuse. Facebook fans 7,436. Twitter followers 1,632. Jensen Beach, FL About Blog We are committed to being the best recovery center for helping you beat your addiction . Facebook fans 37,147. Twitter followers 247. Annapolis, Maryland About Blog Tranquility Woods offer cost-effective drug addiction treatment serving New York residents in Maryland. Facebook fans 1,192. Twitter followers 38. Ontario About Blog Useful resource for those who need help with drug addiction. Information about what drug addiction is and some advice on how to recover and get treatment. We aim to help people with addiction and drug problem to regain their lives and careers. Facebook fans 36. Twitter followers 44. About Blog Addiction Unscripted aims to pull the covers back on the true world of addiction and recovery. Your source for addiction recovery news,rehab reviews and other resources. Follow this site to get news, articles, information on alcohol addiction and substance abuse. Facebook fans 189,690. Twitter followers 6,054. United States About Blog Our nationwide comprehensive rehab programs offer hope & healing from substance addiction. Facebook fans 46,242. Twitter followers 3,001. Philadelphia, PA About Blog Get up to date news related to heroin and opiate addiction and recovery contributed by real recovering drug addicts, counselors, doctors and other experts. Facebook fans 173,660. Twitter followers 216. Saint Paul, Minnesota About Blog Transformation Is Real shares stories, books, and podcasts about personal transformation, resilience and addiction. Facebook fans 12,663. Twitter followers 2,794. 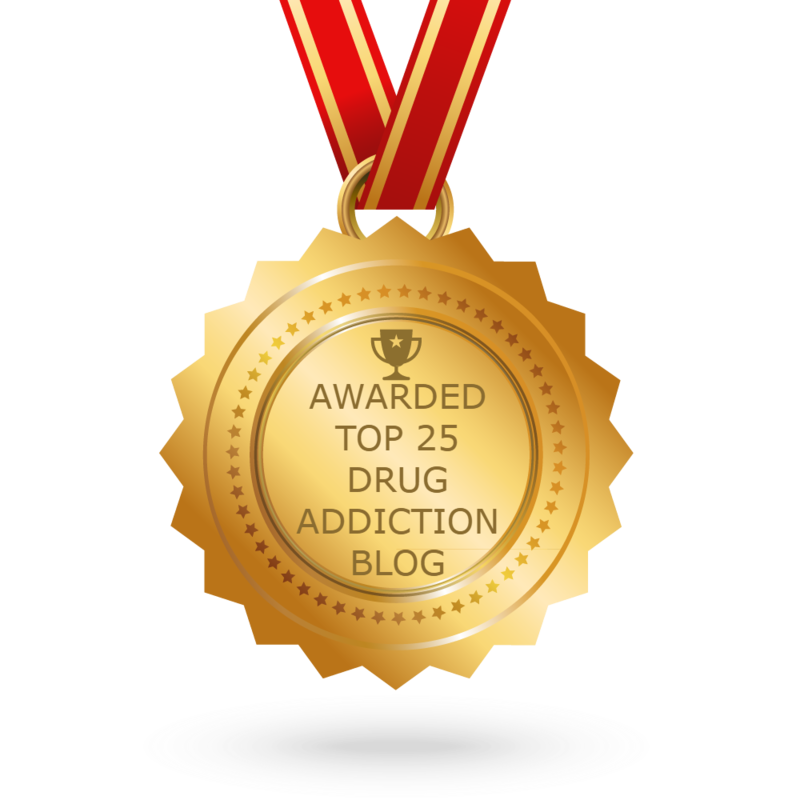 CONGRATULATIONS to every blogger that has made this Top Drug Addiction blogs list! This is the most comprehensive list of best Drug Addiction blogs on the internet and I’m honoured to have you as part of this! I personally give you a high-five and want to thank you for your contribution to this world.